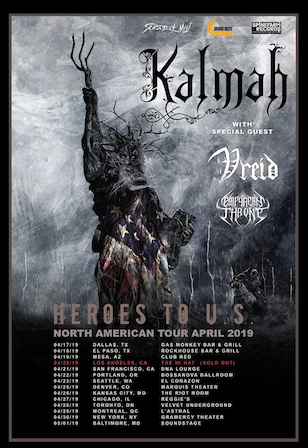 Hailed by Decibel as “one of U.S. black metal’s most exciting up-and-coming bands,” the Southern California-based EMPYREAN THRONE will continue to support their acclaimed M-Theory Audio debut “Chaosborne” by supporting Kalmah on the Finnish melodic death metal group’s first-ever American tour this spring. A complete list of the groups’ upcoming shows together – which will also feature Norwegian black n’ rollers Vreid – appears below. 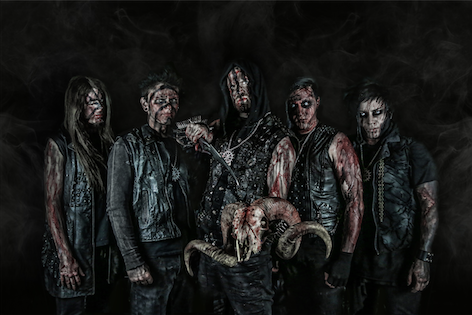 In recent months, EMPYREAN THRONE has toured throughout the Western United States alongside the likes of Carach Angren, Wolfheart, Mors Principum Est and Wolf King in support of their full-length debut, “Chaosborne,” which was produced by Mick Kenney (Anaal Nathrakh, Motionless in White).